It’s official! You are moving. 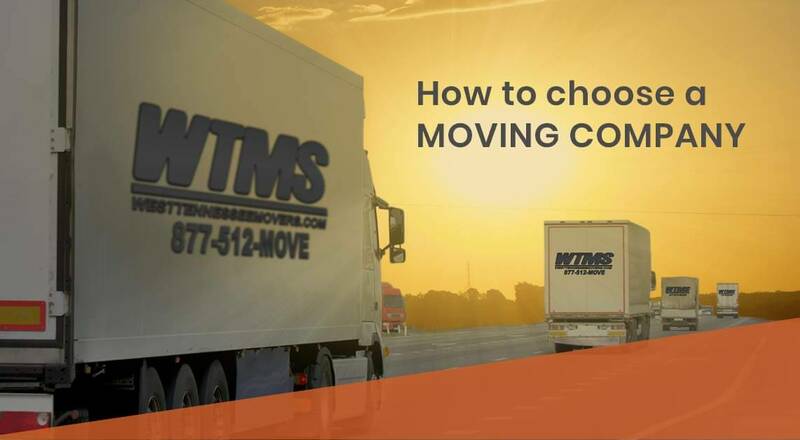 Whether it is across town or across the country, one of the most important factors to minimize the stress of the move is choosing your moving company. Moving season generally starts around March and wraps up closer to the end of fall. So depending on your timeframe, it may be even more critical to choose your mover early. Here are some suggestions to help facilitate the process. Ask for recommendations from family, friends, coworkers, and realtors. When faced with our move I posted on my personal Facebook feed asking friends about who they knew to recommend and sometimes more importantly who to avoid. There are multiple horror stories out there of disreputable moving companies that ruin your possessions, lose your items or take a substantial time to get your belongings to your new home after loading up. The movers at West Tennessee Moving and Storage will travel immediately to your new destination after loading because they only move one family at a time. Naively I first went to the Internet to try to get an approximate cost since we would be paying it out-of-pocket. Less than 10 minutes after googling and putting my destination and contact information in my phone rang off the hook with over 15 companies that wanted to get me to commit immediately to moving with them. There were several that had “space on a truck going through my area” but I needed to commit right away. Also they are relentless in the follow-up to get your business- one company even still texted although I told them I had already completed the move. If at all possible use a local company that has a physical address and real people that you can meet with before and during the process. Also you are more likely to know someone who has used their services and get firsthand feedback. Get 3-4 bids in writing from recommended companies. Determine as close as you can what you are taking and what you are giving away or selling. The better sense that you have of what you are moving helps the estimator determine what size truck you will need in addition to how many employees they will need to load up or if you are utilizing packing services you can get a price for that as well. This was the one thing that shocked me was the difference in pricing. I had one estimate that was double the other two bids for moving the same items the same distance. Beware of extra fees or pricing gotchas! The last thing you need on Moving Day are unknown extra fees or add-ons. If you have Specialty Items: pianos, pool tables, exercise equipment, swing sets determine pricing beforehand. West Tennessee Moving and Storage has Guaranteed Pricing so your price will not change from the original written quote. Make sure there is a simple Replacement Process if something does get damaged or broken during the move. West Tennessee Moving and Storage has Replacement Value Insurance coverage included on every move at no additional cost. If you have any questions about your moving needs – Transporting, Packing, Cleaning and Storage, West Tennessee Moving and Storage in Jackson is open Monday thru Friday from 9am-4:30pm to assist with all your moving and storage needs. The Paris location is open Monday thru Friday from 9am-4pm and 9am-noon on Saturday. Visit our website at WestTennesseeMovers.com for additional information and reviews or call 877-512-MOVE or send a request for a Guaranteed Estimate and set up an in house appointment for a No Obligation Quote. Contact us for a NO OBLIGATION quote custom to your move – for your family or your business!